Every backyard gardener needs a compost pile. But who wants a big, stinky mess to deal with? And, further, if you live in an urban area or are short on space, who wants to annoy the neighbors or be annoyed with a pile of kitchen and garden waste attracting bugs and critters? In order to remedy that problem and jump start you in making your own compost gold, today's giveaway for Urban Homesteading Giveaway Week is a Soilsaver Classic Composter. Has two sliding doors allows easy access to soil. This composter is easy to use as well as easy on the eyes. Just add kitchen scraps and garden waste to the top of the bin and remove finished compost from the bottom of the bin. Turning is optional (if you want faster composting). If you are interested in entering the random drawing for this composter, please add your name to the comments of this post. You have until midnight PST this Friday, February 25th to enter. This giveaway is open to U.S. residents only. Good luck! You have great giveaway items! Entering yet another! This would be a fun thing to try, I've always wanted to see ho wthey worked. Just started trying to compost so this would be awesome! I was going to say that I never win---you know---but that would be too tacky when the prize is a compost bin. I'd love this. One reason I don't have a compost pile is that I just can't take staring at it. I've been wanting to start composting! This would help so much towards convincing hubby we should do it! Oh man, I could really use this! This would get used to death at our house. Please enter me. I've been wanting to try composting. This would be a great way to start. Nice! I would love to add this to my yard for next years garden. Thanks! Another great giveaway item - one we'd LOVE to win!!! i would like to be randomly chosen for this prize. please feel free to randomly choose me. I really need something like this! Pick me! I could use this. Very nice! I'd love a shot at winning that. Much bigger and nicer to look at than my Rubbermaid tub. I'd love it! Such great giveaways! I feel greedy! Yes indeed, you have some fantastic giveaways. Thanks. Well, heck! Another great giveaway I must enter. I've tried composting in a pile, and it never works for me (I'm a bad compost mom). so great--I've been looking for an outdoor composter! What wonderful giveaways this week. This composter would definitely get used here. I need this SO badly!! We are putting our house on the market and I have to get rid of my "unsightly" compost pile! Wow, awesome giveaways! How do you do it? Please count me in for a chance at this one. Thanks! Love all of these giveaways! I have tried so many composters with minimal results. The tumblers are awful. This one looks like it might do the trick. Our old composting setup is on it's last legs. I sure would like to win this one! This would be a great compost bin to keep out pests! I hope I win :)! Wow the giveaway items just keep getting better and better! Thank you so much for doing this. I have kitchen scrap garbage just waiting for that composter. My fingers are crossed! I can always use another composter! What a great giveaway! I've been perusing the seed catalogs, lusting for a composter! While my upcycled pallets work fine--the neighbors are not liking it. This one would be great. Oh, yay!!! Thanks for another chance at a great giveaway! Love composting or chicken feeding, whatever the case may be. Our compost pile attracts raccons, and I'd rather not have them around- this enclosed solution is great! Composting is on my list to get start this year. Holey swiss cheese, batman, you are having some seriously drool-worthy giveaways this week. Please enter me into the composter one! That is a great giveaway. Since the squirrels have eaten large holes in my stacking composter, and are trying to do the same to the spinner, I could use another one. Sigh me UP! I've composted a lot over the years but I've never tried one of these self contained units. Another wonderful giveaway. This is an awesome compost bin. Would love to have it! Another great giveaway - Thank you very much! Please enter me! Very nice composter - nicer than what I'm using now. Thanks! Count me in on the drawing!! This would be great in my new garden space! For the love of all that's holy, I would love this! Then my husband wouldn't be tempted to just toss perfectly good leftovers simply because he hates our tiny little compost jar. Wow! I love your giveaways this week! Throw my name in the hat, please. Fabulous! We definitely need an upgrade on our composting methods! This would definitely help us out! You've got me dreaming of dirt! Me too! That composter looks great, and would make my garden even better! Another good giveaway. What a fun week this has been! It's a winner....I hope I'm a winner! Awesome looking composter!! Pick me! Definitely entering this contest! This would be a fantastic addition to my small yard (and for my flowers) in Pittsburgh! Now we can dish up the dirt on this issue! This looks like a great home composter! Thanks for the giveaway! I don't have one. A great giveaway! I have one of those big smelly compost piles and would love to hide it in one of these pretty boxes. This would sure beat the pile and tarp thing we have going on now!!! Another great giveaway. Count me in. It looks like a great compost bin. Great giveaway! I can put this to good use for sure! I'm in giveaway heaven! Thanks again. I'd love to give this bin a try. I could always use another composter! Thanks for the awesome giveaways! Great for cleaning up my messy pile. Thanks for the awesome giveaway! I love your recent giveaways! Awesome! I could totally use one of these. Awesome, awesome, awesome! :) Ive always wanted this! Sign me up! This has been on my wish list! Thanks for the chance to win it! My last composter died. I could so use a replacement! We could use a new compost bin! I'd add this to our school garden. Wow! So many giveaways this week. Count me in for this one too! You are full of great stuff this week! What an amazing giveaway week! I would love love love a composter. Thanks! My kitchen scraps runneth over!! Would put this to very good use!! I love this too! Looks way more effective than what we have put together, though I'm anxious to see if our makeshift pile has worked! Oh how I would love to win this! We move to our new little farm in April, this would be fantastic to have there! This would be wonderful for the front yard! This looks like a great composter! Oh gosh, please pick me internet Gods. I was just telling my husband we needed a different composting method. oh, right now we have a giant ugly pile in the back yard. it's hard to get to in the snow, so we have a bucket on the front porch. this would be MUCH nicer. I have a tiny bucket that is perpetually overflowing (at least I can say I am eating/drinking my veg these days) and annoying my husband. This might annoy him more, but I am eager to try it! 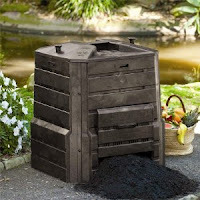 Composter would be a great mother's day gift! Oh my goodness, pretty please! I have been lusting for one of these for ages, but just don't have room in the budget. Come on random number generator! Mama needs a composter! Cost has kept me from purchasing a commercial composter, and my pile method isn't as effective as it could be. I would love to win this. I'm throwing my hat into the pile! I would love a composter for my backyard! Oh My Gosh! What a wonderful giveaway! Hubby and I were just looking at one of these and saying how much it would save our senior citizen backs! He has taken to (shudder) throwing away compostables from our Urban Homestead because we can't turn a pile anymore. Pick us, please!!! I have a friend who would love this so I am going to enter for her. Wow - the giveaways are awesome - love this too! I'm dying to have one of these. Another fun project that I can get my kid involved with! Waaaah! I wanna win this too!! Awesome! just found this blog! April Sanders sure could use a composter. Oh! This would satisfy even our picky neighbors, count me in! I would love to have one of these. I miss my compost pile! i need a composter so bad! We've been searching for a good composter for our needs. This one looks great. Oooo, this would be so awesome to have! This looks great! Please enter me. Your giveaways just keep getting better! Wow, would be perfect - first the rain barrel/planter now this. Keeping my fingers crossed! 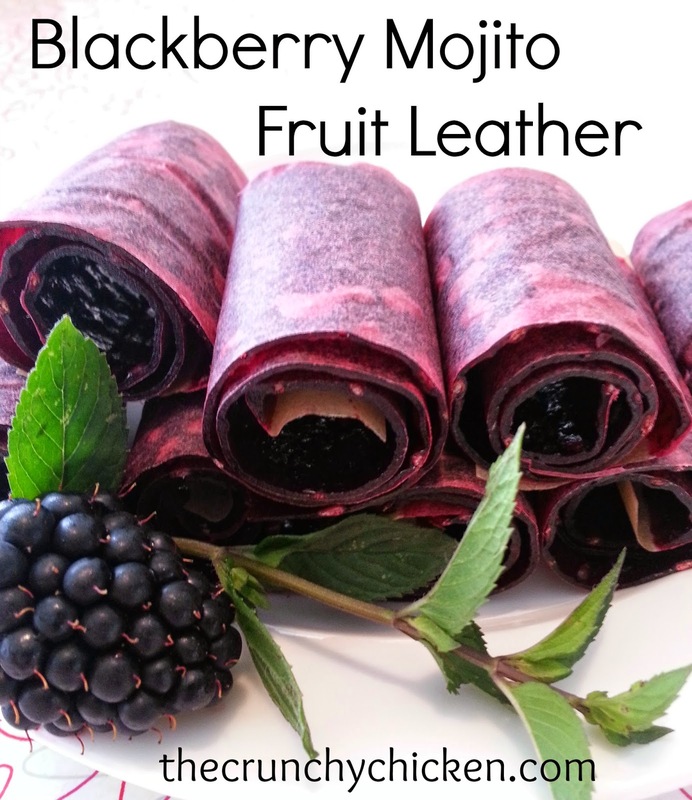 This is a fabulous give away! Would love to win. Please! PICK ME! I've been looking at the tumbling composters but can't afford one right now. Each day I say, no not today, I shouldn't enter another the I am sucked in by you wonderful prizes! We are just getting into composting! Have big plans for a huge backyard garden and would love to win this! Okay, this I can use. Since we mostly eat fresh fruit and veg that I grow, we really need the compost! Sign me up, Ms Crunchy! I would love one of them ther composters. I would love that composter. This composter looks much nicer than my compost pile! Would love to win this composter! We could really use this in our garden! I currently have a home made vermicomposter but can't get any dirt out of it - just tea - which is great, but I'd love some good rich soil! Thanks for the giveaway!! Definitely interested. Your giveaways are crazy-awesome! Very cool ... I could use this for sure! I tried making my own pile in a rubbermaid with air and drainage holes drilledin it. But apparently that's just not good enough for *some* compost lol cuz it's just not doing much in there. Our worms just can't keep up, would love a bigger composter! Need something like this that is a little neater than the mess that is currenly going on. Looks great!